Reply 'To Dr Wemys Kircaldy'. Concerning Mrs Donaldson's case. 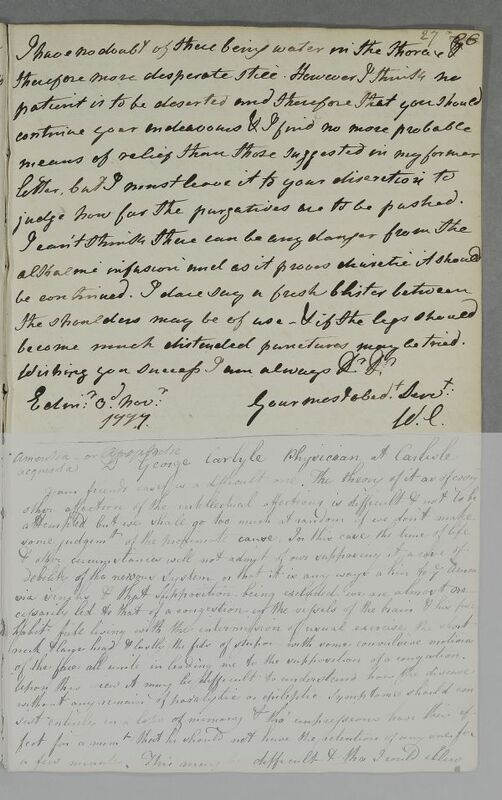 Cullen believes her case of dropsy to be a desperate one: 'However I think no patient is to be deserted'. He suggests alkalines as diuretic treatment, a blister and possibly puncturing the legs if necessary. Summary Reply 'To Dr Wemys Kircaldy'. Concerning Mrs Donaldson's case. 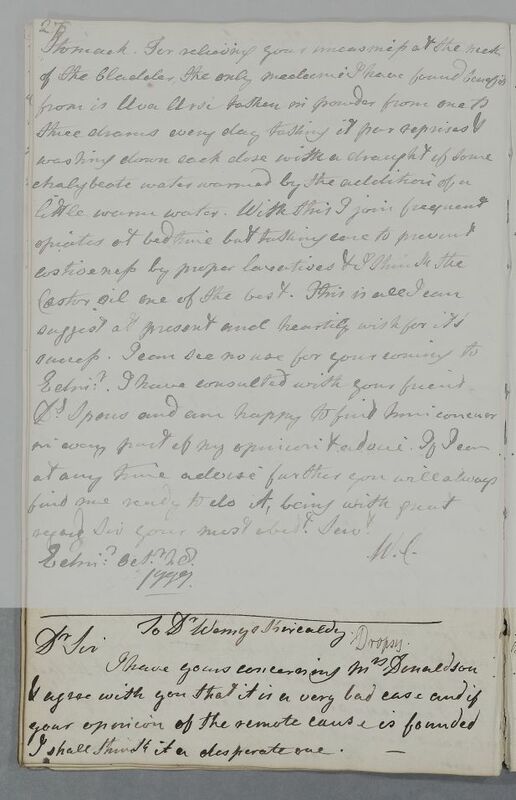 Cullen believes her case of dropsy to be a desperate one: 'However I think no patient is to be deserted'. He suggests alkalines as diuretic treatment, a blister and possibly puncturing the legs if necessary. Case of Mrs Donaldson whose whole body is swollen and who suffers stomach pains and various other distressing symptoms. judge how far the purgatives are to be pushed. become much distended puncture may be tried. Wishing you success I am always Dear Dr.
Wishing you success I am always Dr. Dr.